Laser-assisted lipolysis is a minimally invasive procedure for the removal of stubborn pockets of fat. It can effectively reduce areas of fat resistant to diet or exercise with minimal side effects than traditional liposuction. The procedure uses a laser to effectively ‘melt’ unwanted fat and then either allows the body to metabolize the melted fat or uses ‘aspiration’, a form of suction that allows the practitioner to remove greater quantities of fat. Although it has been touted as a lunchtime treatment, laser-assisted lipolysis is classified as a minor surgical procedure. Laser-assisted lipolysis is not a weight loss alternative but is effective for those with small localized areas of stubborn fat. 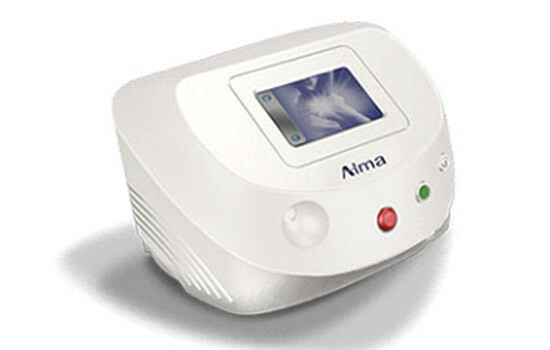 Alma Lasers LipoLife laser-assisted lipolysis solution, powered by the 1470nm diode device, brings the cutting-edge in tumescent lipolysis techniques to outpatient settings with operative and procedural advantages for both physicians and patients. The laser patented* solution incorporates innovations that allow for highly effective targeted lipolysis with almost immediate results. In addition, outcomes include significantly less bleeding, shorter patient recovery time, and less physician fatigue. The system combines a 1470nm wavelength which specifically targets fat-water absorption. The simultaneous lasing and suction capability uses the unique AngelTM fiber to allow for a wider and more even distribution. The results are reduced procedure time and superior clinical results.